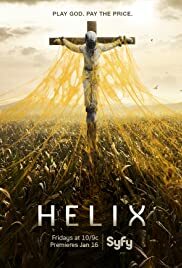 How many episodes of Helix have you seen? Q: What is the NARVIK? Q: Where is the station located and are there any countries' laws governing it? 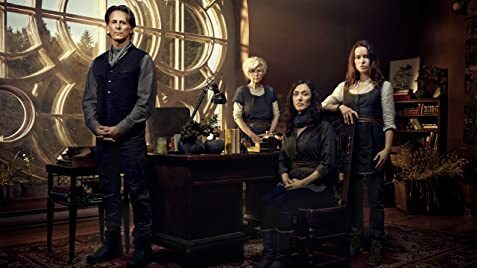 Q: Is HELIX a show about zombies? As a sci-fi fan I was drawn in by this show and did give it a good chance. However, after half way through the 2nd season I am giving up. Nothing makes sense on the island - from the disease (Navark B), to the cult, to the CDC, to the freakish cannibal inhabitants. The military arrive and are picked off one by one islanders in a really naive way. Random things happen - all of a sudden Peter is the cult leader, there are incubators beneath the abbey, there is a fetus being transported back and forth in a glass bottle amongst other nonsensical things. The worst thing for me is the constant yo-yo'ing - one second Peter is captured, then Kyle, then Alan, and it goes back and forth. After a while it seems like the writers have run out of ideas and are just filling up time with nonsense. Storyline aside, the acting is decent and the production is pretty sharp. I can't see how this show can be turned around.